To learn more about this category, we’ve included a glossary of our favorite good-for-you treats. (We’d love it even if it weren’t good for us.) We’d love to hear about your favorite organic chocolates and other sweets. 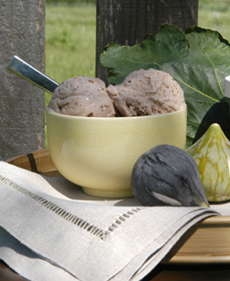 For people with lactose intolerance, goat’s milk ice cream, like this by LaLoo, is more digestible than cow’s milk ice cream—and has about one-third the fat.